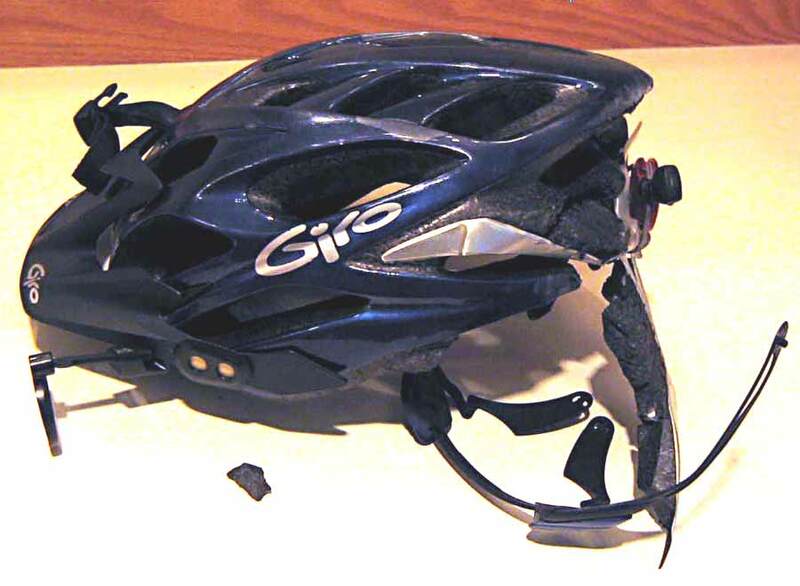 Summary: Photos of smashed helmets. 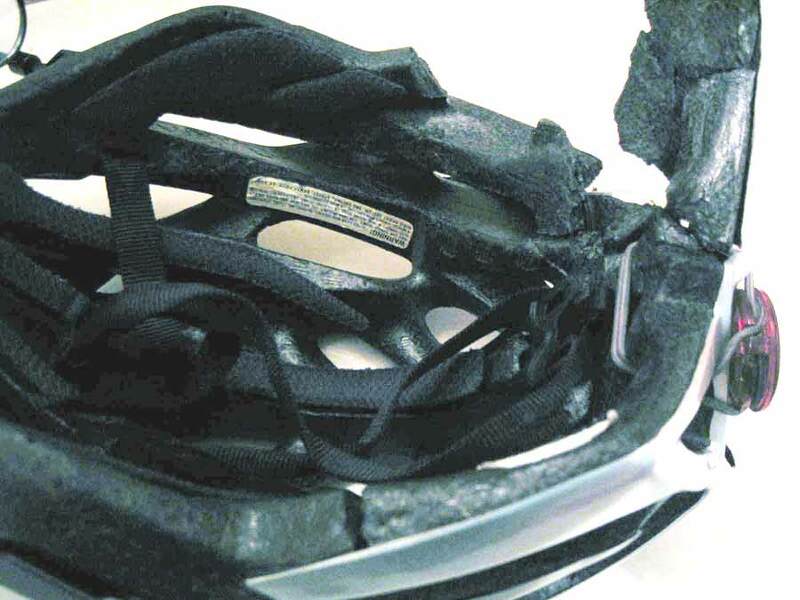 Here are Tom Remington's photos of Troy Weaver's destroyed helmet. Troy was walking around with the helmet in his hand, and as you can see he was still in one piece, a testimony to the effectiveness of this model. Meet Troy Weaver. I met Troy last Saturday when I was at Mt. Airy Bicycles. 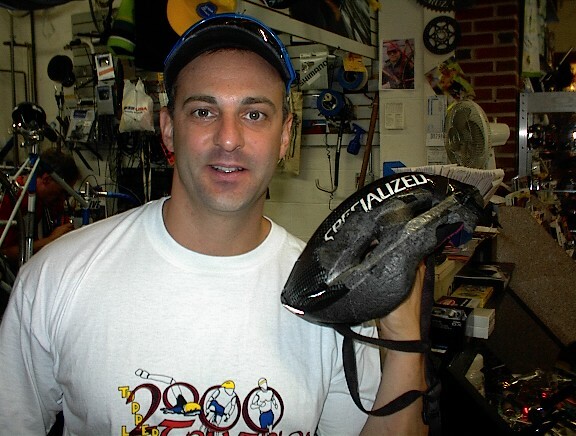 Troy was there to get his bike fixed, and he was carrying his damaged helmet. The fact that he was there, carrying his helmet, is testimony to the fact that he was wearing it about three weeks earlier when he crashed. 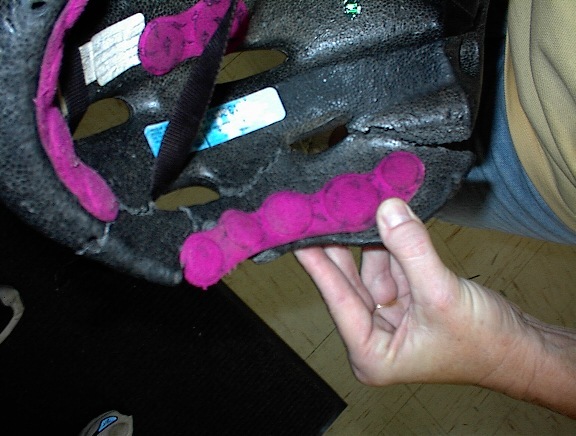 I had my digital camera with me, so I took some photos of the helmet. I don't know if you can use them or not. If not, zap 'em. If you can use 'em, that's cool. You have my permission, as the photographer, to use them for any purpose. 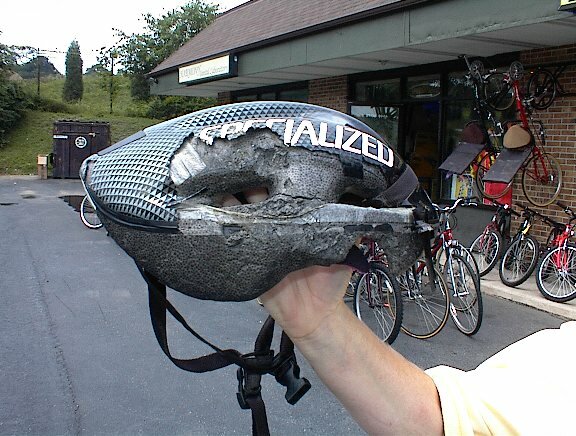 June 2006: Commuting to work, my front tire suddenly lost pressure just as I entered a downhill curve at about 30. I remember the whoosh of air escaping, and then trying to slow ... and then laying on the ground, thinking that moving out of the street would probably be a good idea, and how did that work again? I don't think I was out cold, but the back, left part of my head slammed the pavement pretty hard. I was disoriented for at least a few moments, and seem not to have formed a long-term memory of the last seconds before the crash. 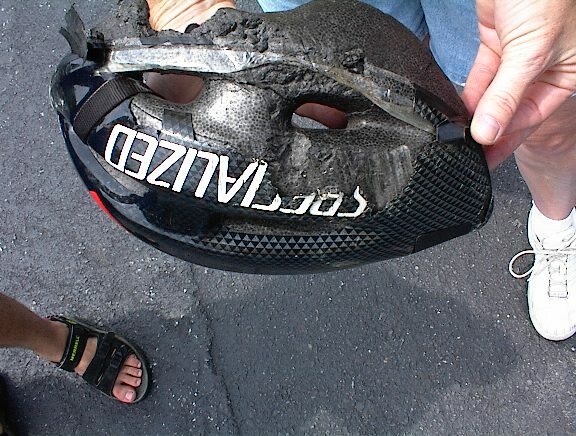 The back of the helmet is completely smashed. I noticed a small bruise on my head today, but most of the pain is from extensive road rash, another broken collar bone, and a bruised rib. 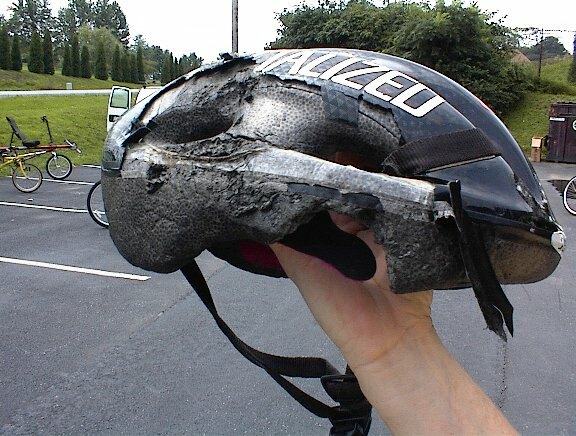 If I were not wearing a helmet (cinched up properly so that the back of my head was protected) this might well have been a life-threatening accident. At the very least I would be hospitalized for some time, because there is no way my skull would be intact.